Karnataka has few of the best water falls of India Pearl Valley is about 40kms from Bangalore. Vengaihnakere Lake in Bangalore is a popular boating destination. The park adjacent to this lake in Bangalore is a fun and entertainment zone with children play area and boating facilities of various kinds. The Nagavara Lake in Bangalore is a popular leisure-destination. The Lumbini Gardens adjacent to the lake offers various leisure activities like boating, artificial wave fun, children’s play area, etc. The Hesaraghatta Lake in Bangalore is a paradise for bird watchers. The century-old manmade lake in Bangalore is ideal for nature walks or watching various lovely species of birds. The Bellandur Lake in Bangalore is one of the largest lakes of the city. The lake was once home to several species of birds and other wildlife. Today the lake has lost most of its beauty. 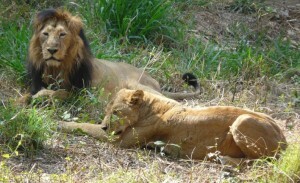 There are a number of national parks in and around Bangalore. These national parks offer visitors a glimpse of its exotic flora and fauna. For wildlife enthusiasts these national parks are ideal places to enjoy true wilderness. 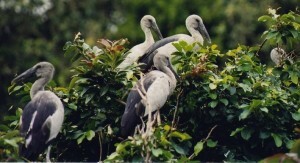 There are a number of bird sanctuaries and other places to visit in and around Bangalore. Here is a list of the bird sanctuaries in and around Bangalore.